Adult coloring became all the rage a couple years ago and I understand why. When I was a teen I worked at TCBY and my favorite things to do were fold menus and stack containers. The repetitive actions became automatic activities that I could do without thinking and which would zone me out enough to zone me in. The folding, stacking give your mind just enough to do so it doesn’t stress you with mindless internal chatter and just little enough to do so that the real deep creative thoughts can flow through. It’s a magic that only certain activities can evoke. Coloring is one of them. Just letting the pen stroke side to side, shade the open spaces, clears the mind. It puts you in a meditative state, just you and the lines, and who cares what you are coloring when you are in that. That’s what I thought, until I discovered Coloring Yantras. Coloring Yantras takes adult coloring to the next level by giving us meaning in the pictures we create. Yantras are mystical diagrams. They connect to Hindu astrology and ancient texts and help take us to a meditative state. Different Yantras reveal different parts about ourselves and assist in bringing them out. The shapes and colors leave us feeling the energy we need. 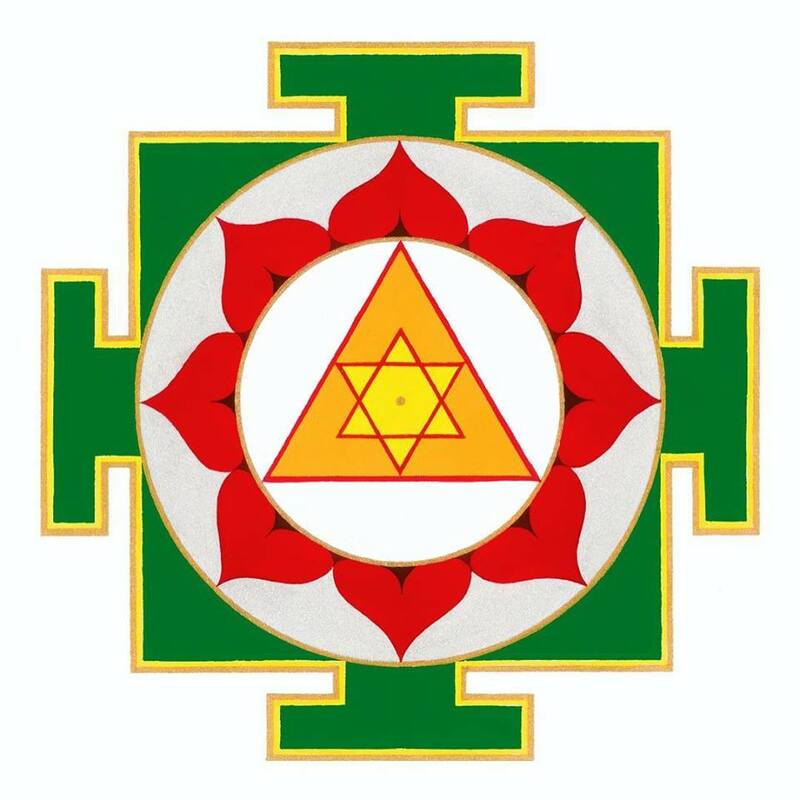 With Coloring Yantras we meditate not just when coloring but after, on the symbol we’ve colored in. Symbols have deep importance to human kind. Different cultures use different symbols to express ideas and represent meaning. They hold archetypes which remain even as we evolve and feed us whole systems of information so that we can capture a concept without the words to describe it. As we begin to understand and use symbols we begin to think differently. 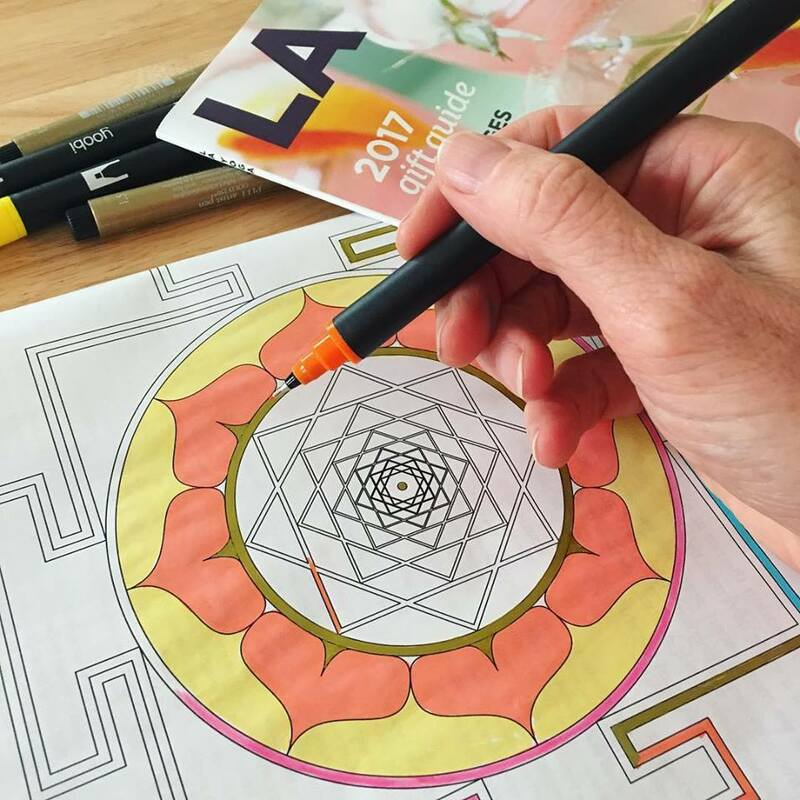 Coloring Yantras is an entry into this practice of opening our minds. That is why I decided to invite Yantra expert Sarah Tomlinson to Land Yoga to launch her Coloring Yantras book and teach us about this ancient practice. Join us December 5th 7p-9p for a workshop which will help you connect form with meaning, symbol with sound, art with meditation. All ages welcome. Link to register HERE.